Today Star Stampz has a new challenge! The theme is : Weather related! I created this card using this super sweet image! Isn't she cute? I hope that my project inspires you and that you join us on our challenge!! Don't forget to visit the store for some amazing digi images!! 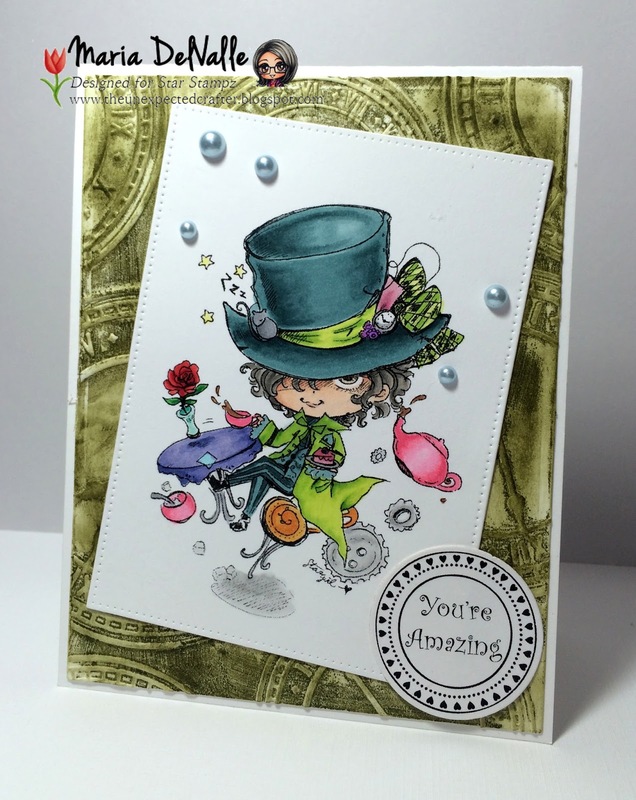 Scrappers Delights New Release - Froggy! Today Scrapper's Delights has a super froggy awesome new release!!! They are soooo cute!! 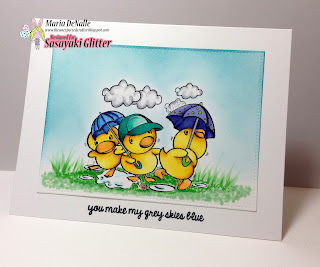 Come take a look at this super cute release and grab some for yourself!! You can enter our monthly Blog challenge for a chance to win outstanding prizes!! Now, for the coloring fun! I hope to see you visit the Scrapper's Delights Store and Challenge Blog! Don't forget!! Awesome prizes, games, sales, FREEBIES and great crafty fun with amazing crafty friends! 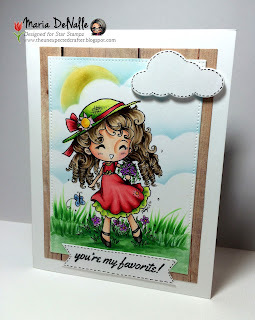 Alicia Bel has a new release today and the images are lovely!! Come visit her site and also check my project using one of these lovely images!! Isn't she cute?!! 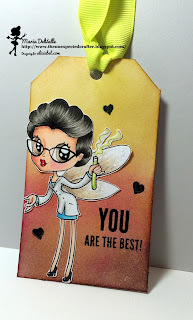 I decided to make a tag for my daughter's science teacher!! And now, these are the colors I used. I always used my Copic markers. I hope you like my card and that you visit Alicia Bel's store and challenge blog for awesome prizes!! Here's a few links to help you get there! 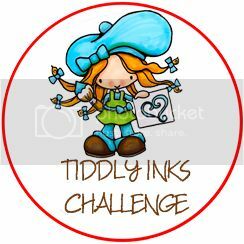 and join us below for the challenge blog, FREEBIES and Sales! Today Sasayaki starts a new challenge on their Facebook Fan Page!! 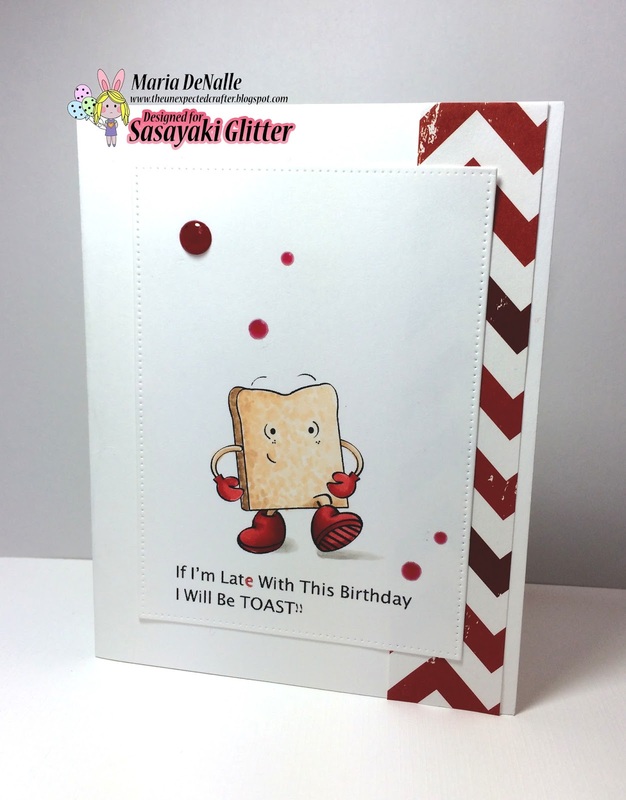 This cute little toast is available at Sasayaki Etsy store! Isn't it adorable? Now for my coloring! Here's the colors I used. BIG impression if you ask me!! Find this Banner on the Sasayaki Glitter Facebook Fan Page and upload your image there for a chance to win AWESOME prizes! 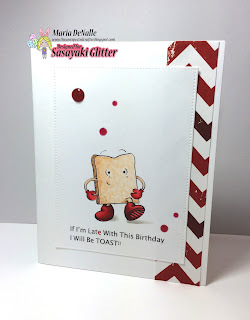 Today Sasayaki Glitter Stamps has a super sweet new release of images!! My project was done using one of these sweeties!!! stop by the Etsy store where you can find so many more adorable images!! Hello, crafty friends. 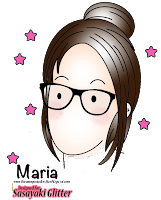 Today I was commissioned to make a tutorial to share with you! I decided to do a background with distress inks! 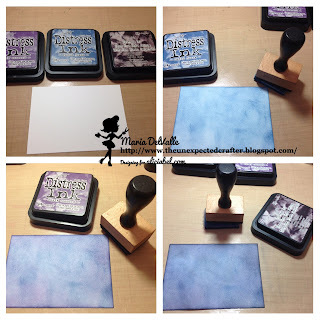 I love using Tim Holtz distress inks. 2. With a blending tool, start in circular motion coloring the cardstock with Faded Jeans. 4. I selected the Cheshire Cat image and colored it with Copic Sketch Markers. I added foam dimensionals to add a 3D effect to the scene. 6. I added a simple flower and sentiment and viola!! Oh, I also used my white gel pen and added some stars. Isn't it cool? It is not hard to do and you can create any sky you like!! 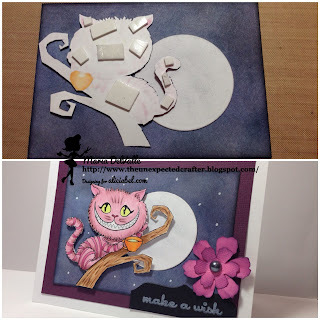 I hope you like my simple tutorial and I hope to see you join the Alicia Bel's challenges!! so it was fun to try it for this one! I hope you like my cute elephant and that you join us on the challenges and visit the store! 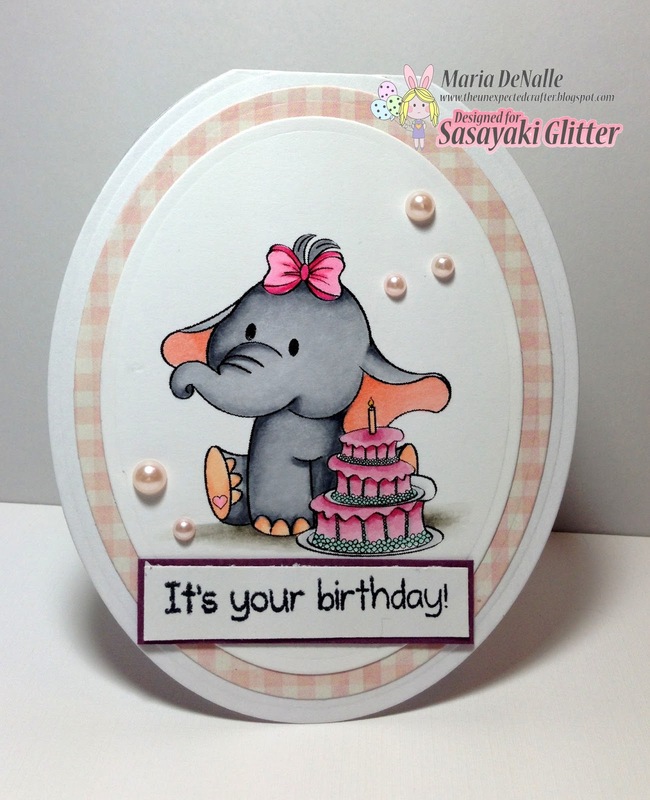 Today we have a new release at Sasayaki Glitter Digital Stamps!!! They are sooooo wonderful!! Come take a look at the challenge blog and also visit the store for so much more amazing images! The image below is one of the many wondeful releases by Sasayaki today!! Aren't they adorable? I hope you like my card and I hope to see you at Glitter Stamps Challenge blog and store!! Join in the fun and keep getting crafty! !